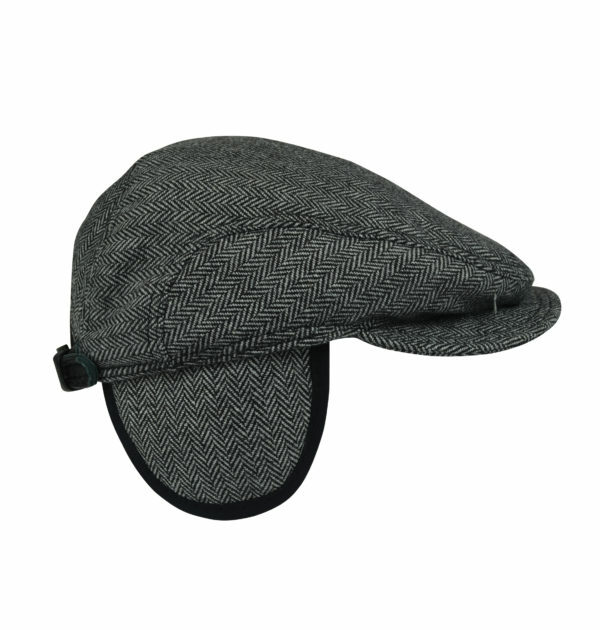 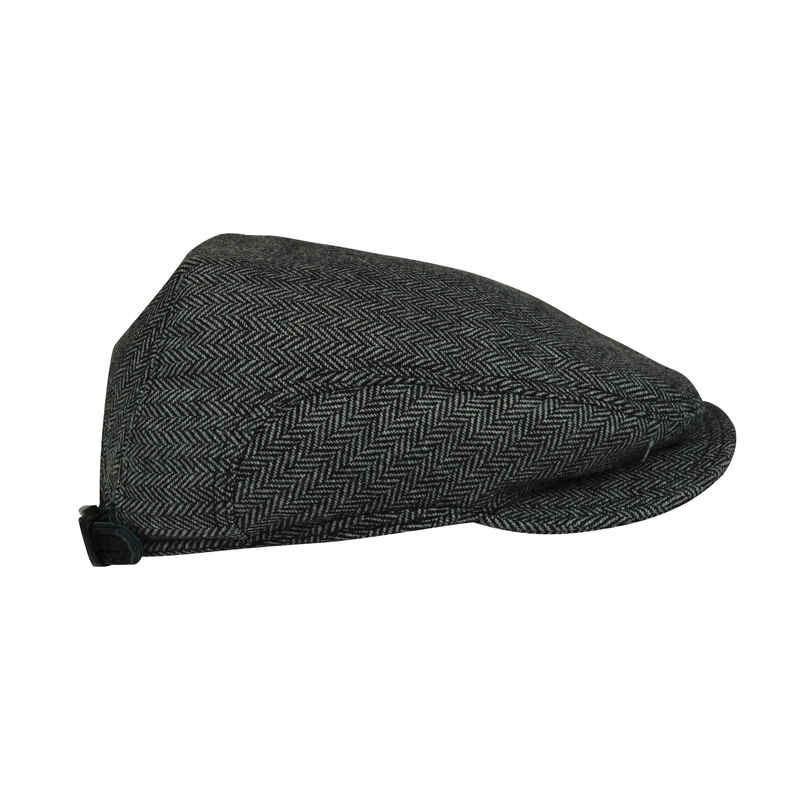 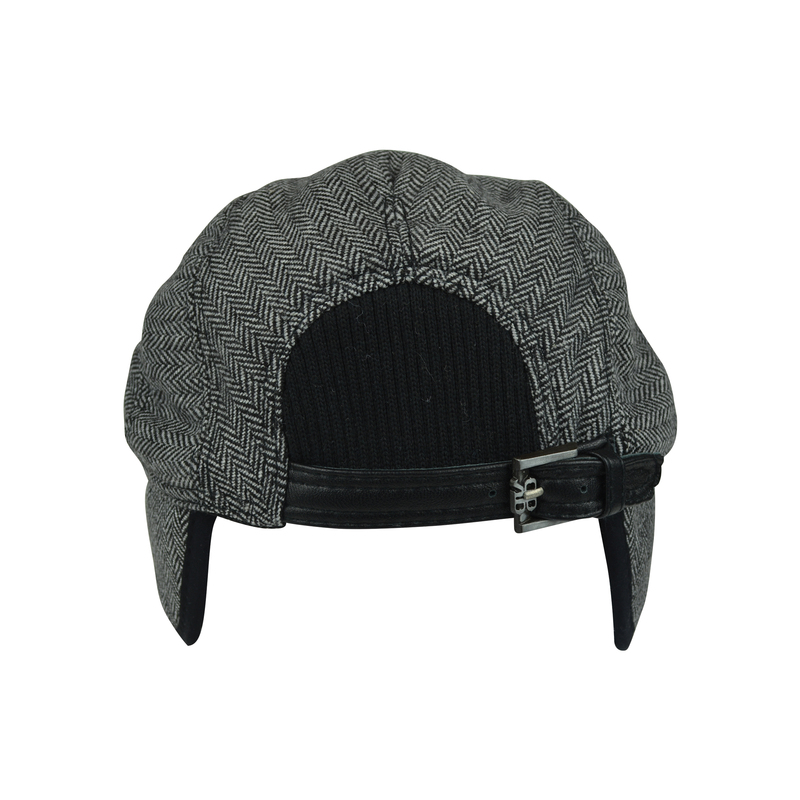 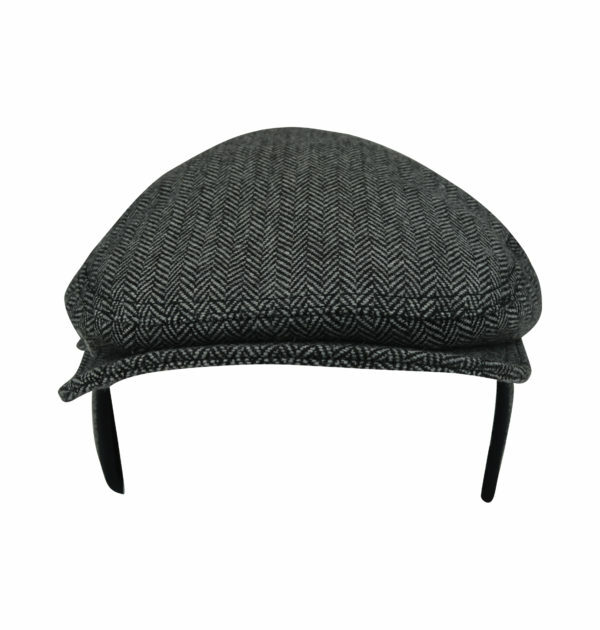 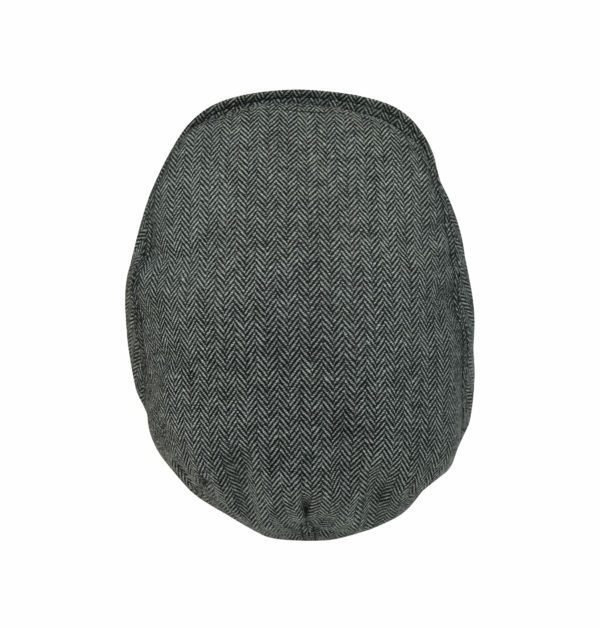 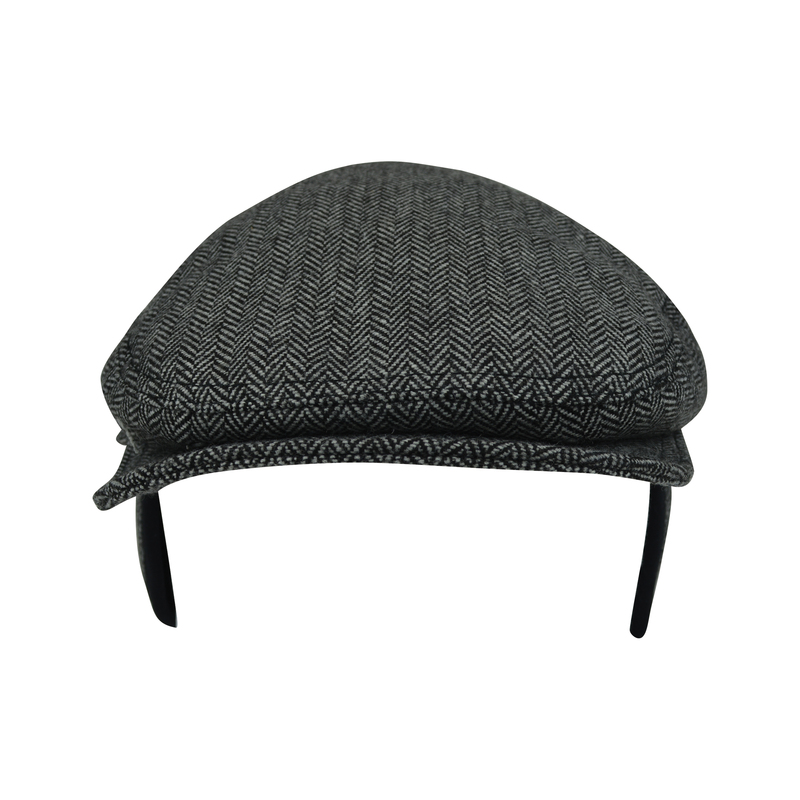 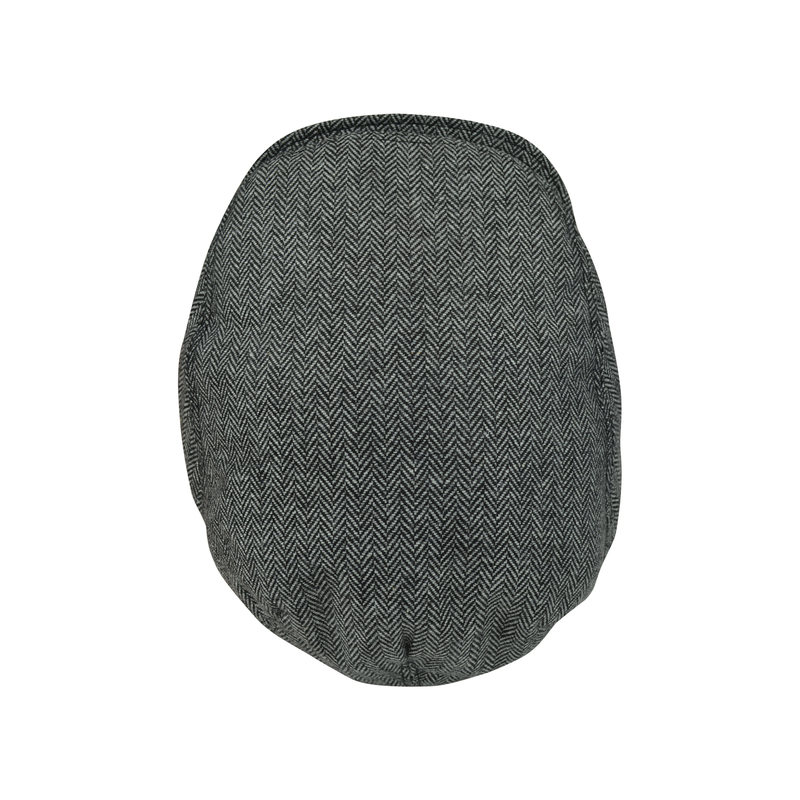 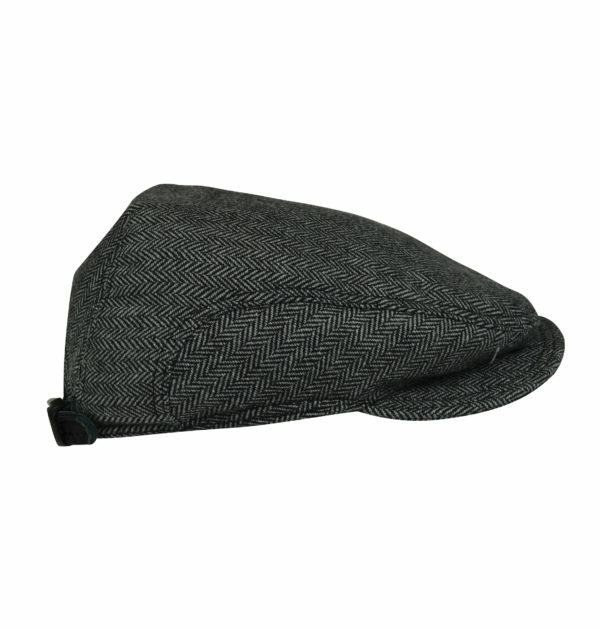 This is a fresh variation of our top selling H-18 Ivy cap is now available in grey Harringbone tweed. 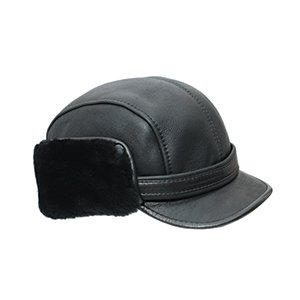 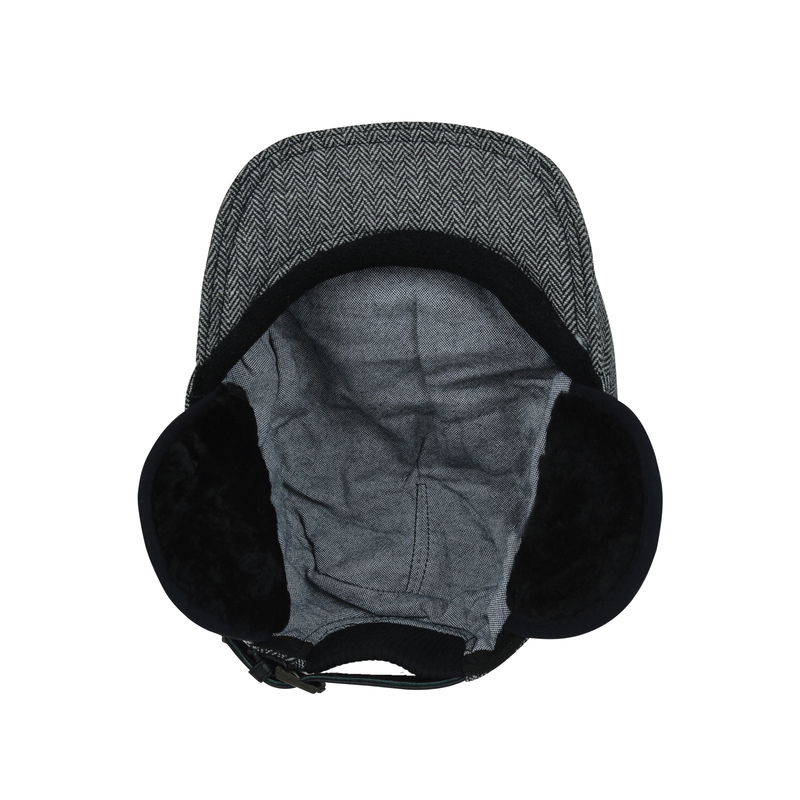 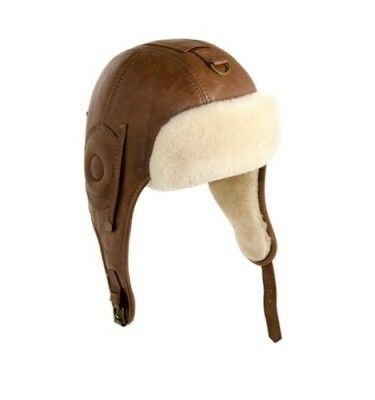 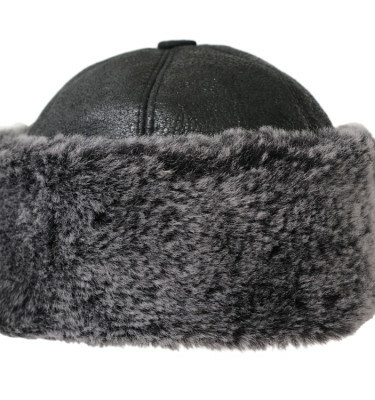 Men and women alike can enjoy this same popular look in a “cooler” wool finish with the essential fur lined earflaps. 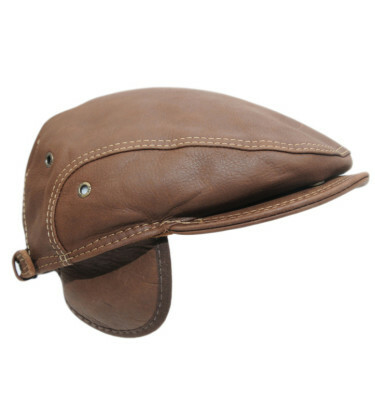 This hat fits all age categories, the older refined gentleman as well as the hip young woman. The front brim is secured with 2 snaps, equipped with an additional comfort band and the earflaps can be worn up or down.